Parenting in the age of technology is an ever-evolving art. Beyond questions about how much screen time your tots should have, moms and dads have a host of tech options for every aspect of life. From basic health and safety to sleep and leisure, tech companies are hard at work to add new gadgets to baby registries everywhere, and many of those products were unveiled at the annual International Consumer Electronics Show (CES), held last week in Las Vegas. Although most of the new technology demonstrated had nothing to do with tots, there were a number of interesting gadgets aimed directly at modern parents. 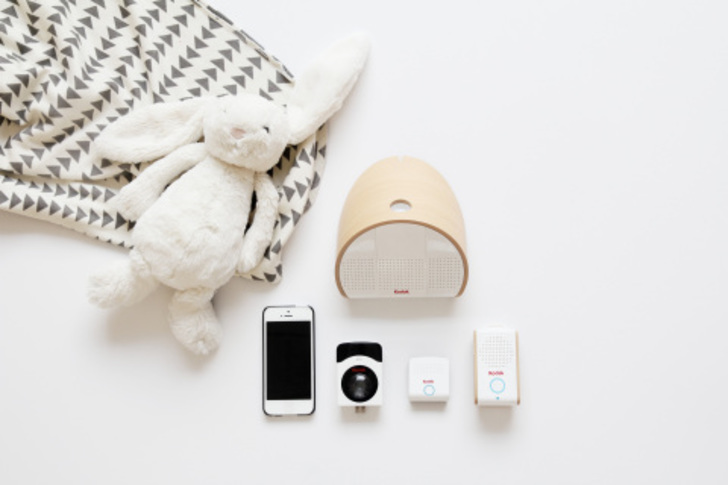 Read on for 9 gadgets that are changing the face of modern-day parenting. This pacifier looks like most of its low-tech counterparts, but it has special powers. The Pacif-I connects via Bluetooth to a smartphone or tablet, allowing you to read baby’s temperature without using an obtrusive thermometer. The system can also be used to locate a lost pacifier, as the accompanying software makes it possible to determine when the paci has traveled outside its preset boundaries. What parent hasn’t spent a considerable amount of time crouched on the floor, looking for stray pacifiers under cribs and changing tables? Rockers from 4moms are not new to the market, but the updated mamaRoo has an added feature not seen before in their luxury baby soothers. You can use your smartphone to control the settings on the high-tech mamaroo rocker, saving you the trouble of lifting your weary body and walking over to the rocker. It’s not outrageous to think that most parents would select the rocker’s settings after securing baby in the cozy cradle, but the mobile connectivity also allows parents to change the sound settings, should baby decide that he would rather hear the rhythmic wub-nub of a heartbeat, instead of gentle rainforest sounds. Infant sleep is perhaps the most mysterious topic of them all. When it comes to figuring out how to help your little one sleep, the variables are almost endless. A wearable band collects data on your sleeping baby, including body temperature, heart rate, movement, and position. The charger also captures ambient temperature in the room, light levels, sound, and humidity. All of this data gets fed into a smartphone app and analyzed to determine optimal sleep conditions. For new parents of a baby who has difficulty sleeping, that’s basically magic. Temp Traq is an adhesive patch that acts as a wearable, wireless thermometer. 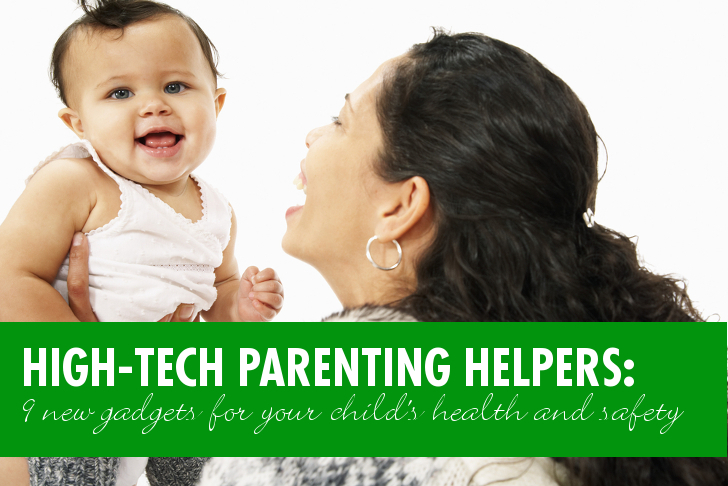 It uses Bluetooth technology to report temperature readings from baby to your smartphone. Why? The concept allows the temperature tracking sticker to be activated and then work continuously for 24 hours. This means that you can place it on an ill child, and monitor their temperature periodically without having to disturb or wake them. This one isn’t for sale yet; Temp-traq is currently awaiting FDA review so they can go into production. 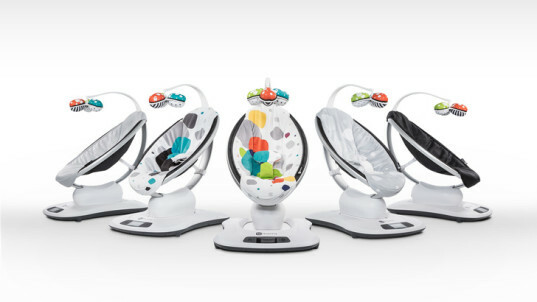 In case you haven’t noticed, the theme of this year’s baby-tech offerings seems to be mobile connectivity. The baby glgl tracks and reports on your baby’s guzzling habits, helping to reduce air intake that leads to tummy troubles and colic. 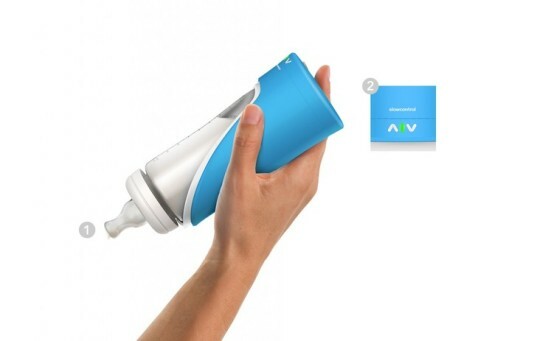 The high-tech bottle is also equipped with an inclinometer, so it uses the weight and angle of the bottle to alert parents when the position of the bottle needs to be adjusted to make sure the baby isn’t gulping air. Developed by wireless surveillance pro Seedonk, the Kodak Baby Monitoring System takes existing baby monitor technology and expands it to include support for an HD WiFi camera. This new model also makes it possible for parents to use more extensive surveillance on their tots, including optional crib and door sensors designed to track movement and reports it to a mobile app. Although it certainly doesn’t replace the watchful eye of a loving parent, a system like this gives parents a little more freedom and reassurance when it comes to being aware of their little one’s activities. Intel’s Smart Clip replaces the manufacturer’s chest clip on your baby’s car seat, and helps remind you to take your baby out of the car. The clip sends a mobile alert to the connected smart device if it should fall out of range, so parents are contacted. 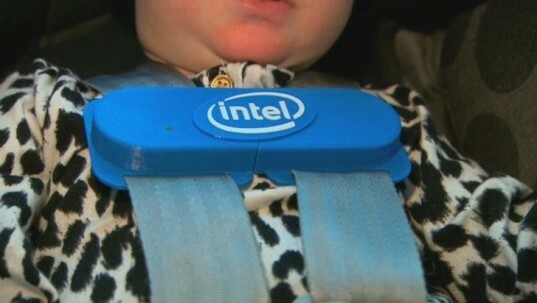 Intel developed this reminder device in response to the death of a 6 month-old girl, whose father left her in his car in the parking lot of Intel’s Jones Farm campus in Hillsboro, Oregon. This is the famous Sleep Number custom-comfort mattress in a pint-size. 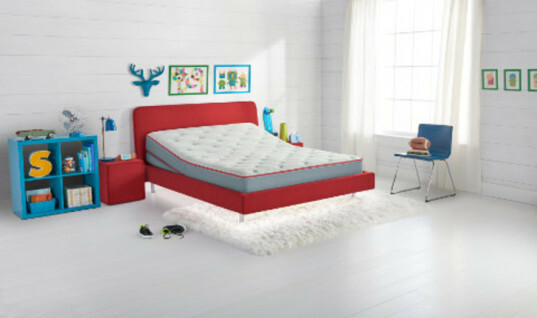 But the SleepIQ Kids bed offers a great deal more options than the adult variety. Your kids can now have bedding that monitors breathing, movement, and heart rate. The SleepIQ Kids also has the ability to alert parents when their kiddo gets out of bed, and allows parents to turn off lights remotely once kids are asleep. Kids might actually be excited to have a bed like this, with its automatic under-bed glow to guide them back to bed after middle-of-the-night bathroom breaks, and a built-in monster detector. 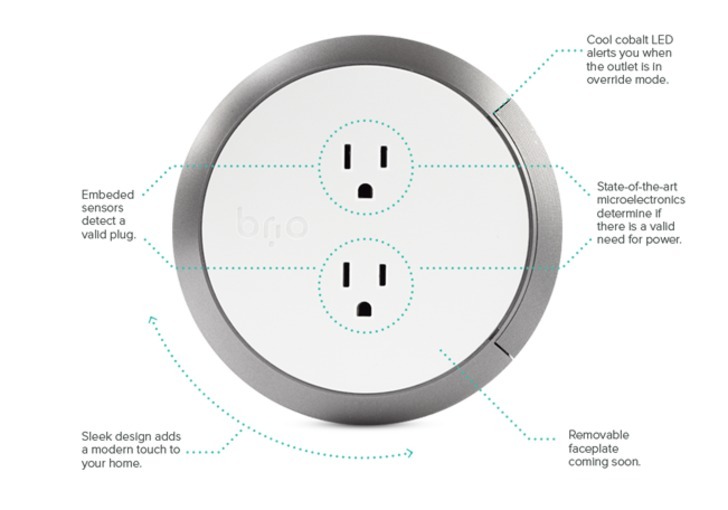 Brio’s Safe outlet may be the only baby-tech product unveiled this year that is actually not Bluetooth-enabled. It’s also perhaps the most useful of all the new kid-related products demonstrated last week at CES 2015. Unlike most baby-proofing safety devices for electrical outlets, this one doesn’t actually block the outlet. Instead, it can actually tell the difference between an electrical plug and your little one’s fingers and disable the outlet’s power if anything other than an electrical plug is present. Bluetooth-enabled Pacif-I This pacifier looks like most of its low-tech counterparts, but it has special powers. The Pacif-I connects via Bluetooth to a smartphone or tablet, allowing you to read baby’s temperature without using an obtrusive thermometer. The system can also be used to locate a lost pacifier, as the accompanying software makes it possible to determine when the paci has traveled outside its preset boundaries. What parent hasn't spent a considerable amount of time crouched on the floor, looking for stray pacifiers under cribs and changing tables? Remote-controlled mamaRoo Rocker Rockers from 4moms are not new to the market, but the updated mamaRoo has an added feature not seen before in their luxury baby soothers. You can use your smartphone to control the settings on the high-tech mamaroo rocker, saving you the trouble of lifting your weary body and walking over to the rocker. It’s not outrageous to think that most parents would select the rocker’s settings after securing baby in the cozy cradle, but the mobile connectivity also allows parents to change the sound settings, should baby decide that he would rather hear the rhythmic wub-nub of a heartbeat, instead of gentle rainforest sounds. Sproutling Smart Baby Monitor Infant sleep is perhaps the most mysterious topic of them all. When it comes to figuring out how to help your little one sleep, the variables are almost endless. 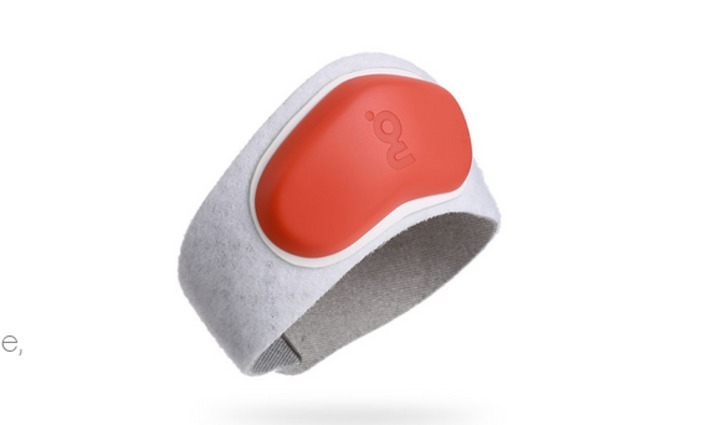 A wearable band collects data on your sleeping baby, including body temperature, heart rate, movement, and position. The charger also captures ambient temperature in the room, light levels, sound, and humidity. All of this data gets fed into a smartphone app and analyzed to determine optimal sleep conditions. For new parents of a baby who has difficulty sleeping, that’s basically magic. 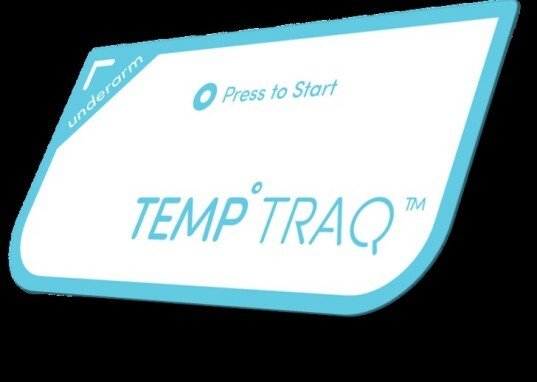 Temp-traq Wearable 24-hour Thermometer Temp Traq is an adhesive patch that acts as a wearable, wireless thermometer. 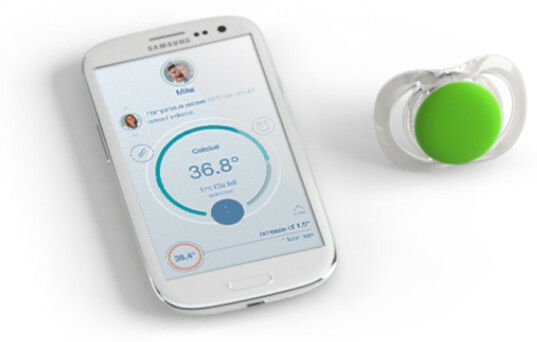 It uses Bluetooth technology to report temperature readings from baby to your smartphone. Why? The concept allows the temperature tracking sticker to be activated and then work continuously for 24 hours. This means that you can place it on an ill child, and monitor their temperature periodically without having to disturb or wake them. This one isn't for sale yet; Temp-traq is currently awaiting FDA review so they can go into production. Baby Glgl Smart Bottle In case you haven’t noticed, the theme of this year’s baby-tech offerings seems to be mobile connectivity. The baby glgl tracks and reports on your baby’s guzzling habits, helping to reduce air intake that leads to tummy troubles and colic. The high-tech bottle is also equipped with an inclinometer, so it uses the weight and angle of the bottle to alert parents when the position of the bottle needs to be adjusted to make sure the baby isn't gulping air. Kodak Baby Monitoring System Developed by wireless surveillance pro Seedonk, the Kodak Baby Monitoring System takes existing baby monitor technology and expands it to include support for an HD WiFi camera. This new model also makes it possible for parents to use more extensive surveillance on their tots, including optional crib and door sensors designed to track movement and reports it to a mobile app. Although it certainly doesn't replace the watchful eye of a loving parent, a system like this gives parents a little more freedom and reassurance when it comes to being aware of their little one's activities. Intel Smart Clip Intel’s Smart Clip replaces the manufacturer’s chest clip on your baby’s car seat, and helps remind you to take your baby out of the car. The clip sends a mobile alert to the connected smart device if it should fall out of range, so parents are contacted. Intel developed this reminder device in response to the death of a 6 month-old girl, whose father left her in his car in the parking lot of Intel’s Jones Farm campus in Hillsboro, Oregon. SleepIQ Kids This is the famous Sleep Number custom-comfort mattress in a pint-size. But the SleepIQ Kids bed offers a great deal more options than the adult variety. Your kids can now have bedding that monitors breathing, movement, and heart rate. The SleepIQ Kids also has the ability to alert parents when their kiddo gets out of bed, and allows parents to turn off lights remotely once kids are asleep. Kids might actually be excited to have a bed like this, with its automatic under-bed glow to guide them back to bed after middle-of-the-night bathroom breaks, and a built-in monster detector. Safe Outlet Brio's Safe outlet may be the only baby-tech product unveiled this year that is actually not Bluetooth-enabled. It's also perhaps the most useful of all the new kid-related products demonstrated last week at CES 2015. Unlike most baby-proofing safety devices for electrical outlets, this one doesn’t actually block the outlet. Instead, it can actually tell the difference between an electrical plug and your little one’s fingers and disable the outlet’s power if anything other than an electrical plug is present.